Indian restaurants can be a bit intimidating your first visit or two. You enter the restaurant, and your mouth waters – but you can’t really explain or identify what you are smelling. There may be traditional or contemporary Indian music in the background – you start to get into it, there’s some sort of weird funky one-string instrument that starts your feet tapping! – but you can’t understand any of the words. If you’re in a really GOOD Indian restaurant – you may be one of the few non-Indians there! And then there’s the menu – oh, yikes, half those words aren’t English! DON’T PANIC – deciphering the menu is not as difficult as it first appears! Indian dishes are often named by the cooking process involved in preparing them (Tandoori Chicken – chicken cooked in a clay oven aka Tandoor), or from the place the food originated (Kashmiri Chicken – a chicken dish from Kashmir), or from the culture it was adapted from (Mughlai Chicken, chicken as traditionally prepared by the Mughals). And quite a few Indian restaurants also have detailed English descriptions of their dishes on the menus, but if not – never fear! 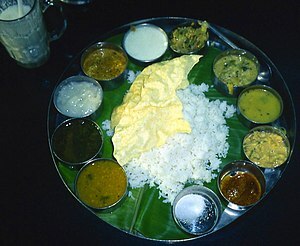 Vegetarian dishes are usually named for their predominant ingredient(s). Learn a few simple words and you will be able to decipher most vegetables dishes on your own! Makhani/Makhni – A dish made with butter, usually in a tomato gravy. Masala – Spice, or spice mixture. Could mean mild, medium, or hot. Paneer – An Indian cheese with an unusual, non-melty consistency. Saag – Greens, usually spinach (palak ka saag) but could be mustard greens (sarson ka saag), or any other kind of greens (kale, turnip, etc.) or mixture thereof. This explains why initially I looooved some Saag Paneers but absolutely hated others! So, Chana Masala just means chickpeas with spice. Aloo masala – spicy potatoes. Aloo Ghobi – Potatoes and cauliflower. Palak Paneer – spinach and cheese. Easy, right? Dosa – A signature South Indian dish. It’s a crepe made from rice and lentils, stuffed with a variety of fillings. Usually served with sambar or another soup. Lassi – A yogurt smoothie, good for helping digest beans/lentils or for cooling down after fiery food. Mango lassis are the most common, and delicious; there’s also namkeem lassi which is salty not sweet – and surprisingly refreshing in the heat. Naan – North Indian flatbread cooked in a tandoori oven. Absolutely delicious and impossible to replicate at home, unless you just happen to have a big clay oven sitting around. Usually they offer plain and garlic naans. At some places naans are made with milk or yoghurt and at other places they are not, so you’ll need to ask. They are made without butter and brushed with butter after they come out of the tandoori, so you do have the option to order your naans without butter. Pakora – Deep fried vegetable fritter appetizer, served with chutney. (Nearly all Indian appetizers are deep fried. Just get over it and go with it.) Made with besan (chickpea) flour so good for those with gluten problems! Raita – Slightly watered down yogurt with cucumber and spices; may also have other vegetables such as tomato. Used as an accompaniment to fiery dishes. Samosas – Another appetizer and Indian classic – potatoes, peas, and spices in a flaky crust. Tandoor/Tandoori – Clay oven, used mostly for meats and baking naan. Spiciness/Hotness Level. One restaurant’s mild level might be another restaurant’s fiery level. True story: My partner and I ate at an Indian restaurant and ordered Spice Level 4. It was a little too bland for us, so on our next restaurant outing we ordered the hottest level. Only after we drained an entire pitcher of water did we realize the Level 4 Spice was at Situl Restaurant and we ordered the Level 5 Spice at Maharani Restaurant! 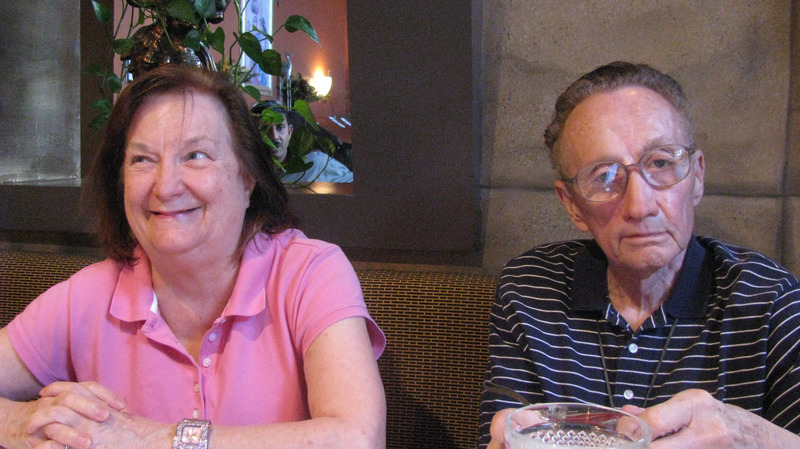 Our mistake nearly had serious consequences – we shared our dishes with my senior dad and stepmom (before tasting the food ourselves) and almost caused their untimely demise! Vegan considerations. What might be vegan at one place might not be at another. There might be butter or cream added to dishes you would not expect! On the flip side, some predominantly vegetarian Indian restaurants might have vegan versions of traditionally non-vegan dishes! For example, I’ve had malai kofta made with a cream sauce (dairy), yogurt sauce (dairy, but lower-fat), and with a totally vegan creamy cashew sauce (with vegetable dumplings). Just ASK! Recently I did a survey of a number of Charlotte-area Indian restaurants and they all said they could offer vegan dishes to patrons.